ignia’s new hearing aids are your natural choice for performance and hearing. Whether you’re in a meeting, taking an important business call, preparing a presentation, or meeting colleagues for lunch, with Signia’s hearing aids you can enjoy the most natural sound experience along with superior connectivity and audio streaming from your smartphone and TV. Connect to the world with your Signia hearing aids. Signia offers direct streaming of phone calls and music through your Apple® devices. The new StreamLine Mic streams quality sounds from any Bluetooth® device. StreamLineTV feeds audio from your television directly into your hearing aids in Dolby Digital quality. The myControl™ App puts complete control of your new Signia hearing aids at your fingertips. Available for iOS® and Android™ phones, the app offers advanced remote control options so you can change settings and personalize your hearing aids according to your individual preferences. You also have full control of all streaming functionality. The myHearing™ App provides you with all the support tools you need for a relaxed journey to effortless hearing while you adjust to your new hearing aids as quickly as possible. 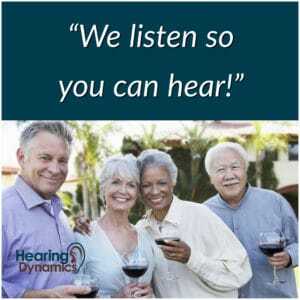 You can follow special listening exercises, consult the user guide, and connect to our audiologist on the go. Hearing Dynamics will be happy to advise you on how to download and use this app. Signia’s revolutionary myHearing App helps you to become an experienced hearing aid wearer in as little time as possible. The app provides you with all the support tools you and your hearing care professional need to guide you through a successful hearing aid trial. Benefit from advice and troubleshooting wherever you are, reducing the amount of follow-up appointments.